New York Giants old stead, Eli Manning, knows his time is coming to an end as the ever-healthy stallion that managed to win two Super Bowls with his eyes closed. Nonetheless, Manning won the MVP trophy both times, so who really cares if his eyes were open or not. After taking years of punishment from a leaky offensive line and acting as the punching bag for the fans and critics, Manning remains upright. He will continue forward as the starting quarterback in 2019, but he’s aware that the Giants might draft a young prospect to learn from him. 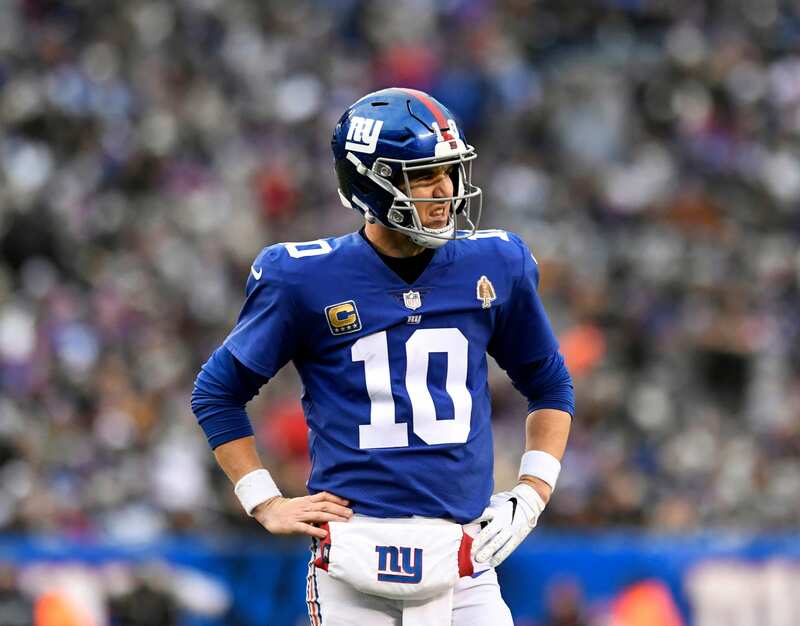 Is Eli Manning ready to push forward for the New York Giants? Even after another losing season in 2018, going 5-11, Eli remains confident and prepared to embark on his 16th campaign in the NFL. The new Giants regime has made it a priority to build a serviceable offensive line – one that will help Manning extract any value he still has left in his rickety old bones. Last season, we saw glimpses of vintage Eli, hitting receivers in stride on his back foot, heaving up passes just to see them gracefully land in the hands of his receivers, and the occasional wide-eyed toss-up that somehow ended in a completion. After a tough 2018 campaign, Manning met with general manager Dave Gettleman to dicsuss his future and if he’s willing to continue pushing forward despite the lack of success. The Giants’ iron man will count $23.2 million against the cap this season. A hefty number when considering his production the past few years. However, it’s the last year on his contract and it will be carried out as planned. Whether he’s extended is yet to be seen, but I imagine he will have one more player crowding his locker in search of wisdom.